On September 27, 2014 By mapelbaIn blogging, cancer, death, fear, graveyards, happiness, health, life, Why? The other day, I finished reading Smoke Gets in Your Eyes. I discovered the author, Caitlin Doughty, around the same time I received my cancer diagnosis. I watched her video about talking to children about death. Now, I had an optimistic outlook on my cancer treatment, but I had to tell my kid, and my kid had seen plenty of movies where the mom (for some reason, always the mom) died of cancer. And my son knew that my own mother had died long before he was born (though not of cancer). He was also having trouble processing the deaths of the children at Sandy Hook. So, I appreciated her insights. Now, I recommend her book. The book is honest about many aspects of the death industry and about what happens to the body. Several time during her narrative, a detail threw me for a loop. Or to be more accurate, made me think about what I had chosen for my mother after her death and what I wanted after mine. It also got my husband and I to talk more about it. Important stuff, people. People often feel this topic is morbid or creepy. A woman on Facebook suggested the topic was bad luck. I don’t feel morbid or creepy. I just feel honest. And I don’t really believe in bad luck of that sort. Besides, I kill characters in my stories. Now perhaps I’ll have a better sense of what I’m writing about. In another post, I wrote about being inspired to write living obituaries for a few friends. Again, not trying to be morbid, but trying to give people a chance to say lovely things to people they care about before it is too late. But October is approaching. 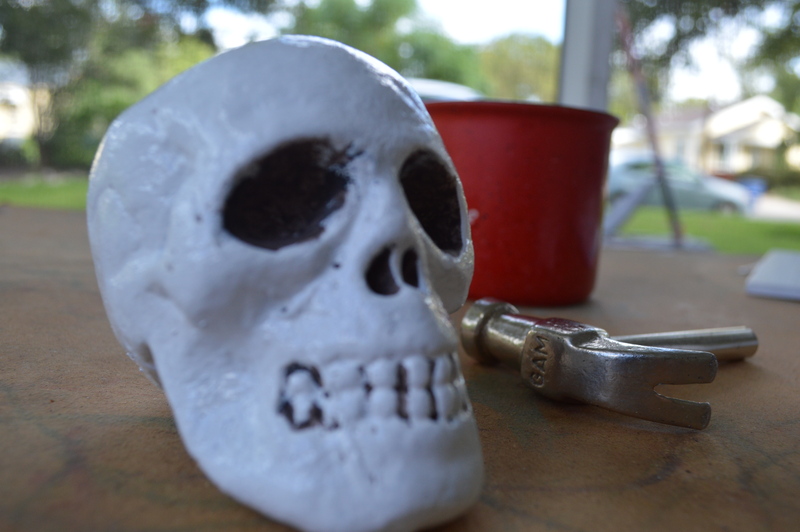 Halloween and Dia de los Muertos decorations are appearing in neighborhoods around the land. Horror movies are arriving in theaters (all of which I will avoid). As it happens my birthday is also in October, and to me a birthday is better than New Year’s to take a look at one’s life and goals. On a side note, one of my Saudi students told me that in his country, people don’t make a fuss about birthdays. Birthdays just aren’t a thing. I asked why (because I love birthdays and have a hard time imagining not caring about them on a cultural wide scale). He said they saw no point. You have no way to know how much time God has given you, so why should you care about a birthday? Frankly, I feel his explanations lacks something (meaning, I still don’t get it), but okay. This topic was a bit beyond his grammar and vocabulary. Anyway, October is coming and, in our hemisphere, fall, the season ending and decay (hence, Halloween, right?). In honor of all this, I want to spend this month contemplating life and mortality. Am I leading the life I want since this is the one chance I get? I hope so. I feel so. But it doesn’t hurt to take time to make sure.